I'm a little emotional tonight. Part of it is what I'm about to write about and part of it is because for about two hours this afternoon - I was scared to death my best friend was going to die (read post below this and please keep praying for her). I had always planned to breastfeed my entire life. And I have always dreaded it. It just sounded dreadful. But I knew it was something I felt I should at least try. And when we wound up in the NICU and I couldn't nurse those first few weeks - I almost talked myself out of it. Especially when the first time we tried - Harper got so mad she had to go back on oxygen. Talk about scaring a new mom out of trying again. But a sweet LC named Tina stuck with us and helped me when I was ready to quit (and she still stays in touch - hi Tina!) And I'm so glad she did because it's been a great experience. It's been very bonding and so much easier than I ever dreamed it could be. So when we got asked to go on the Compassion trip - I decided I would just wean Harper before the trip. And then when we got down to just a few weeks before the trip - I panicked! I don't work well under pressure and I decided to just pump bottles and that I would pump on the trip and wean when we got home. Harper has never really taken a bottle and I tried once before to give her a formula bottle and she threw a HUGE temper tantrum. Yesterday afternoon, I thought I would just try to give her a bottle and see what happened. And she GULPED it down. So last night I thought I would try again with her bedtime bottle - just sure she would be mad. She gulped that one too. And went to sleep drinking it and slept all night. So I've given her bottles today with the same results so it looks like she is weaned. And I think it's time. She is obviously ready. She wasn't nursing much anymore anyway. And I think the timing will work out great. I'm proud that I nursed her for 9.5 months. I was reading Amanda's blog last week because she just went through the same thing and she talked about wanting to treasure that last time of nursing knowing it was the end. And I realized I didn't treasure that last time because I didn't know it would be the last time. And that makes me a little sad. I will always think about all those long nights in our living room when I would nurse and watch TV at 2 a.m. I'm sad to see a little era end. But you know what? I held her tonight while she took her bottle and she is a wiggle worm who won't normally sit in my lap. She laid there and I could kiss her little head and hold her little hand (two things that are hard to do when you are nursing) and it was a different kind of sweet. And one I loved. If I have learned anything from reading blogs and from life experiences these last few years it's that we aren't promised tomorrow and we also aren't promised that life will be easy. We were only promised that God would never leave us or forsake us. With all that has gone on for me today - I hope I'm learning to treasure every last minute. You never know when it might be the "last". Last time you see your friend or family member, last time you kiss your husband good night, last time you nurse your baby, last time your little toddler wears a diaper, last time your child lets you reads to them at night, last time your teenager lets you drop them off somewhere.............Treasure each moment! Life is not measured by the number of breaths we take - but by the moments that take our breath away! Kelly, I admire you hugely! It's getting closer and closer to time for me to wean Ridley. He's only nursing 3-4 times a day and if he wakes up during the night. It's a hard connection to break, but you have to do what works for you and your family. I completely agree that we must treasure each moment, each hug, each phone call. Life is too short not to. It is so hard to see your baby growing up, but just remember the next step will be precious too! Glad the weaning went well-my first time with Em was awful. She cried constantly and couldn't figure out why she couldn't nurse. I cried too! So glad your experience is better! Is Laurie doing okay? My friend works in the wound care unit down here at St. Vincents. She says the hyperbaric chamber works wonders with staph. Hope she's doing better today. I will continue to pray for your friend.. and you are totally right about the last "last". Everytime we lose someone we think of that.. so make your last last special.. It's so bittersweet~glad you took time to treasure it. Also, thanks for the update on Laurie. My prayers are with her and you. I am a long-time reader but I think that this is my 1st ever comment... I thank you for this post. My husband and I are dealing with Infertility so I can't relate to the nursing stuff - although I really want to nurse - but I've always tried to live my life keeping in mind the "you never know when it's going to be your last time" idea - and even I have been forgetting that lately. Thank you for the reminder! Beautiful post! Such a touching post. Nursing didn't work out for Payton and me. She just didn't want to put forth the energy it takes to nurse - bottles are easier. I cried and cried when I finished pumping at 6 weeks. I really had to find something special about bottle feeding. Now she is 3 months old and feeding time is a special time. It really means so much. What a great post and something I've been thinking alot about lately. I just found out today that a former co-worker of mine died yesterday after her 2nd battle with cancer. Two weeks ago, a friend of my husband's lost his wife unexpectedly - she was 30 and leaves him behind along with a 3 month old baby. Bad things have been happening and it is just reminding me how precious life really is. I'm praying for Laurie - please keep us posted on how she is doing. Thanks for the reminder tonight to treasure the little moments! Loved your post, you are so right saying you never know when your last day with your loved ones will be and to cherish them! Every moment is definitely to be treasured! I found myself in the same situation with weaning and I felt sad about it also, but it was so sweet to see my husband feed our babies for the first time too! It is such a special time, just you and the baby bonding at all hours of the day! I admire you so much for going on the Compassion trip. We just adopted a child and I would jump at the chance to meet him! Praying for Laurie and God's protection and healing for her body. I had a scary staph (MRSA), after I delivered my son, it is painful and definitely not fun. Sorry my comments are always so long... I'm a girl, that's what we do, right! You should most certainly be proud of nursing for that long. I tried nursing with my colicky baby. It was ROUGH. I never really produced enough milk and I was totally stressed out (probably why I wouldn't produce enough). At 3-4 weeks I started pumping and feeding through bottle so I knew how much she was getting. At 7 1/2 weeks I needed to wean off because of health reasons and I had to go back to work soon. I felt SO guilty. SO GUILTY. I cried for days b/c I felt like I wasn't trying hard enough, she would get sick more, etc., etc. etc. I never really regretted it once that time past. I was so worn out from her being colicky it was one less stress for me. I think it is awesome you did it so long. I find it rather sad to be afraid someone would write something not nice. I stopped nursing my son just before he was 9 months because the had a mouth full of teeth (he got his very early and lost his first one in PRESCHOOL!!) I believe it is up to the mother and the mother only to decide when it is time. I didn't want to stop but I felt with all those teeth I was just too nervous. If she wasn't ready you would of known. A lot of women do it only for a few weeks before they go back to work and others think it is disgusting. Personally I never thought I would but after I got pregnant I decided to try it and I LOVED it. Your a wonderful mom who only wants the best for her little girl. Don't give it another thought. I have been reading for months (since right before Harper arrived)as well, but have never commented. I just had to tell you about the sweetest book. It is called "Let Me Hold You Longer" by best-selling Christian fiction author, Karen Kingsbury. All of her books are amazing and life-changing. This book is a picture book about exactly what you are talking about- your child's lasts. I am expecting my first baby and I have loved this book for years. I too plan to breastfeed, but am still unsure if it will work out or not. I hope I am able to experience that bond with my little girl. I am praying for your friend & pray she recovers very quickly! That was a beautiful post. So touching...so true. Thank you for that. I know I already DM-ed you this, but it never hurts to say it again...I'm PRAYING for YOU and LAURIE tonight and in the days ahead. You are so right about the "last" moments. My kids are grown and those memories are precious to me. When I weaned my babies and they were taking bottles, I always held the bottle. I still craved the close cuddling and just didn't like the idea of them holding their own bottles. I didn't regret that. I so agree that you need to treasure every moment as it is the last. I still remember the last time I spoke to my father before he died, not knowing it would be the last time, not a bad conversation but definately not the one I pictured as last. Isn't God awesome! He knew when it was going to be the perfect time for Harper to be ready to wean. Confirmation from God that going on the Compassion trip is what he has called you to do!? Just my two cents, but enjoy holding the bottle for her if she wants you to. My family would make comments about how I still had to hold my daughters bottle, but I would just say to them that this time was short and soon she would only want to do things herself. Which is now the case. Thanks for this post...It's so easy to take everyday things for granted. I hope Laurie heals quickly! Oh- Harper is such a cutie! You opened your heart and soul today... Will pray for Laurie. Have you ever read the book, "Let Me Hold You Longer?" By Karen Kingsbury?? It's a book about a little boy growing up and never sure about all of those "lasts". I cry everytime I read it." I know just how you feel! I was so ready as were both of my kids, but on the other hand sooo sad. I think it is wonderful how you found something else to enjoy now. ANY time is precious no matter what you are doing! Way to go on nursing so long! I think a good job is in order for making it this far with nursing Harper. I have sat in your seat many times, many nights, I still am sitting there. With my oldest I was still nursing her at 23 months, I was about 2 monhts pregnant and was having some issues with maintaing the pregnancy. My dr wanted to introduce a med that I could not take and nurse at the same time. I was devastated to quit nursing but couldn't live with the thought of risking my pregnancy. So I just came home that day, nursed my oldest that night and laid her down to sleep. I did know that was the last time and as I type you it makes me cry. I had a healthy baby 6 months later and she is 27 months and still nursing. I don't know if she will be last baby so I am holding on to that nursing time as long as I can. B/c like you said we don't know what tomorrow holds....I think you are fortunate that Harper took the bottle so well and you have done an amazing job! Nursing is not easy and not for everyone!!! I am praying for Laurie! I trust in the Lord that she will be healed! Kelly- Be proud of yourself for nursing Harper for 9.5 months! I also quit around that time nursing my son- and we were both ready! Bottle feeding DOES offer a connection and sweet moments, too! Prayers for you and Harper, and for Laurie! Thanks so much for posting this as bfeeding is such a blessing, but so hard sometimes. My third little girl has yet to take a bottle after 4 mos. My other two girls took one just fine. It is encouraging to know that even though Harper never took one that eventually she did and at just the right time prior to your trip! I love my sweet times at 2 A.M. watching TV as well! Thank you for this. I am due to have a baby any day. Right now we (my husband and I) are facing some personal financial struggles, and I'm so scared that I'm letting them ruin this special time. I am trying to remind myself daily of all that I have to be thankful for. Thank you for bringing it to the forefront of my mind again. Oh Kelly, I bawled through your post! I know exactly how you feel. I nursed all 3 of my girls and that bond is indescribable. My first 2 weaned themselves at 11 months. One feeding they ate as usual, the next feeding, they refused, and that was it! I was devastated because I had no preparation (mentally OR physically). My baby was an addict and I finally had to cut her off at 25 months. It's been a year and she will still occassionally ask to nurse..lol I still miss those times more than anything else. It was VERY hard to give up for the baby..knowing she was our last and I would never do it again. I'm so glad you didn't give up and you got to experience that amazing bond for you and Harper. I was going to suggest you read Karen Kingsbury's book...but some other brilliant posters beat me to it. God Bless! Everyone's time is different and it IS hard when you realize the end of your nursing relationship is near! I can't remember the exact last time, but it was clear that our time was over. It makes it easier when they are OK with it and they know it's time as well!It's a sweet thing and I'm proud of myself, too, for nursing for so long, as you should be. I've been so worried about Laurie today...I had no idea any of this was going on until tonight. I was very concerned yesterday when she told us about it at Sunday School. I've been praying for her throughout the day because I was so concerned. You don't mess around with Staph! I know she's going to get well! Have I told you, Kelly, how very proud I am of you? Because I nursed you and your brother I very much wanted you to nurse Harper. But with the NICU stay I felt like that wasn't going to happen. However, knowing you got up at 3 a.m. every night just to pump while Harper was NICU made me extremely in awe of you and your new mothering skills! Thank you also to Tina our LC! Isn't she a jewel? Besides, Poppa is just so excited that HE will get to give his "pride and joy" a bottle when we keep her! What a moment we will treasure! Wow Kelly I luv this post ... it's so touching! There are always little things that we take for granted, but it's the little things that really matter. Thanks for making my day, and Harper looks sweeter than ever! Also, I'll be praying for Laurie ... I hope everything turns out for the best. Good for you for breastfeeding for 9.5 months! I love love love that we all have a choice in how we parent our own kiddos. What a precious gift and your little Miss Harper is such a doll! I sincerely hope that you and Scott are very proud of the way you are choosing to raise Harper because I'm pretty sure 99.9% of your readers are proud of you! God Bless! Awe..this post made me cry a river! So true. I treasure every moment I have with my family. My brother died unexpectedly in May, and our last conversation was about a week before he died. We had the best time cutting up and talking about our childhood. We had so many wonderful memories together. I, like you, don't remember the "last" time I nursed my son. I nursed him exclusively for 9 months. Oh those were precious times! Thank you Kelly for this post. Thank you for being such an encourager. Still praying for Laurie. Hope all is well. God bless!! That was an awesome post! And I'm struggling with some of the same things right now too and remembering to treasure each moment and not to lose my patience when Grace starts having a "terrible 2's" moment! Life is too short and we take it for granted! I don't comment our kids are the same age. my Noah is 9.5 months and we just weaned (or should I say he self-weaned) too. when he would nurse, he would nurse for maybe 1 minute on each side and he was DONE. no matter how hard I tried to get him to keep nursing to stimulate more milk, he didn't want any part of it. as much as I wanted to make it to a year, we made it 9 months... that's 3 months longer than I made it with my first babe. you did awesome. you gave her incredible nourishment for 9 months!!! way to go!!! I'm so glad all went well giving her the bottle! I was unable to nurse after 6 months. Nursing was one of the best experiences of my life with both my kids. I was a mom that thoroughly enjoyed that bonding and loved every minute of it. I'm so glad you were able to do it and for the length of time that you did it for. Above all, I'm so happy that you are at peace with weaning. It's a tough decision to make whether you nurse or not and it's important to feel at peace with the decision. Bless you and that sweet girl! And, happiness for you finding a way to cuddle a wiggle worm! Oh Kelly! What a touching post. My son is only 3 months old but the time is going so fast and we will be at your stage before we know it. Makes me so sad! I am ordering the Karen Kingsbury book now after everyone's suggestions! It also makes me miss my nursing days. I nursed both my girls for shortly over a year. I even went to Germany (minus my daughter) when she was nursing. I pumped the whole time and dumbed it... looking back I just wasn't ready. She might have been, but I wasn't. Good for you for doing it this long!! It is a really cool gift from God! this is a precious post for you and harper, thank you so much for sharing it with us. I can relate to your feelings about weaning-- my husband and i traveled overseas when our firstborn was 10 months old, he was obviously not traveling with us, so i had to wean before ten months. It was a little bit of an emotional process, but everything worked out just fine and God took care of all of us (it felt somewhat funny praying to God about breastfeeding- new territory for my prayer life) he! I am praying for your upcoming Compassion trip! God is going to use you in major ways! I am praying for Laurie too! So beautifully said!!! My baby is eleven and I miss those sweet times!! I agree with everyone else, this was beautifuly written. We seem to get so caught up in life, running here and there, making lists of things that have to be done and sometimes we forget to sit back and just live in the moment. You are a wonderful mommy and Harper is lucky to share her moments with you and Scott. Also, praying for Laurie. Praying for healing and no surgery. You have done a GREAT job for nursing her this long! She got what she needed from you and for you to have still nursed her after her month stay in the NICU is something to be very proud of. I will never regret nursing my babies and my youngest one did the same thing as Harper. I remember wanting to just cherish that last time and I didn't realize it would be the last time and I'm glad I didn't have a chance to really get upset about it. If you do have another baby, you will be surprised at how excited you will be to get the chance to nurse again. It will come to you so naturally and you will cherish the second time as much as with the first one:) I'm so glad she took a bottle!! OH I am sooooo struggling with this right now (when to wean, am I ready (yes, I...my 7m old son takes a bottle fine and could care less where the food comes from!!). Your post was very sweet. But you can nurse and bottle feed too if you're not totally ready to be done. I just do it once in the morning and once at night. It gives me the convenience of a bottle during the day--but still my special bonding time at night. Anyone who has nursed a baby knows how difficult and tiring it is and of course how great it is all at the same time, so I think you are a WONDERFUL mom for making it 9.5 months! You should be very proud of that! 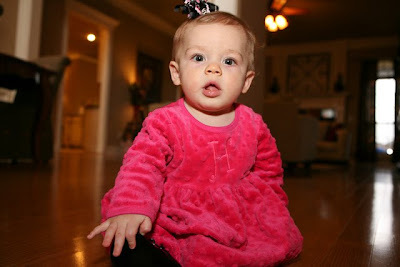 I can't seem to wean my baby...well she is almost a toddler. 18 months to be exact. At times I want to stop because it seems easier, but it breaks her heart when I tell her no. I'm so glad this stage worked out for you and Harper, and I know that it will work out smoothly for us also. What an awesome post! I can relate to your feelings about stopping breastfeeding. I dreaded weaning my daughter because she only would snuggle with me when she nursed. I found that after she weaned, she would let me rock her and she would lay facing me with her head on my shoulder. I can kiss her little face like this! It's different than nursing, but just as precious. I love your comments about the "lasts". With 4 children between the ages of 14 and 18 months, I think about this alot. I have learned over the years to treasure, really treasure, the season we are in currently. Some of these seasons go far to quickly for my liking. Lately, I have been thinking how much I would love to freeze my 18 month old. I think I could have a toddler around forever. She does the funniest things! I will spend time tonight praying for Laurie. What a blessing to have a friend you care so deeply about. What a wonderful post! Thank you for the reminder!!! Glad Laurie is doing better! Will continue to pray! She is so blessed to have you! Keep pumping! You can pump and give bottles as well, especially while you are gone. It's not that I don't agree, it's that forumla is not the same as breastmilk. Period. I can't for the life of me think of why someone would not agree with anything you wrote in that post! It is so true. Always cherish the moments you have with your family and friends. Very well said! Kelly- What a genuine person you are sharing with us all. I was so worried about your trip and was wondering what your plan was for nursing while gone. As a mama who has nursed (well, still nursing) 3 babies this can be a difficult process. You really don't realize the blessing that has been granted you by her adjusting so easily to the bottle! I know I did things all wrong, according to some and let mine nurse to sleep. That does not make for a pretty picture when time to wean. Mine is 19 months old and I had her down to nightime feedings only and then she got sick and only wanted to nurse so it looks like I am starting over. None of mine ever acted ready to wean and they were all approaching their 2nd birthdays. You are such a good mama and I love reading your blog! I remember how that feels, with my first I had to wean at 8 months because we wanted to try for another baby and feeding stopped my cycle. But I remember my daughter would sit on mine or my husbands lap every night (until she was 2) and drink a bottle of milk. It was so wonderful just for her to be still and at peace. We missed that with number two, maybe 3 we'll get the chance again. I never got to nurse either of my girls. I pumped exclusively for 7, and 8 months. So I did treasure those times when the girls would lie still, drink their bottle and I could just take them in. After I had the second baby, the time I spent pumping was some of the best bonding time with my firstborn. She'd come sit with me and "talk" or we'd read books, it was so sweet. Kelly, I never comment b/c there are always already so many for you to read but I love following you and your sweet family. My heart sank as I read your request earlier... I know Laurie will be ok but I have a close friend too and so I could just imagine how lost I would be if something were wrong with her health. I have been praying for you both all evening! Nursing intimidated me, esp having a preemie in NICU but I am SOOO thankful I did it with both of my children for about 10months. The bond is so amazing... and yet so is watching them learn to hold a bottle and continue in their growth. There is a neat book about this very thing... but I can't remember the title... I will post it later if I can find it. Praying your heart is eased and you have a nice night. Kelly, I know exactly how you feel. I had to stop breastfeeding my son because of health reasons. I have asthma and I had to be put on a steroid inhaler and other medication because I was not breathing well. I had no idea I would have to stop. I went into my pulmonologist for a routine appointment and he did some tests. He told me I had to stop breastfeeeding because the medication he was going to put me on would not be safe for my son. He made me use one of the steroid inhalers in the office in front of him. So, I could not breastfeed anymore. I only breast fed my son 3 1/2 months, and I had planned on going so much longer. I never really thought I would miss breast feeding my son, but I did. It was hard having to stop. You went such a long time with your daughter, that is so great and so good for her. I hope you have a great time on your compassion trip. I went on a trip with Compassion to Kenya, Africa. It was life changing. And it was such a great trip and great experience. I met so many amazing people on my trip. Compassion is a great organization. I am praying for Laurie. Nine and a half months is awesome! Yea for mom! Nursing is so personal, each mom finds her own way (or even no way). Enjoy the trip without the pump. you should be so pround of yourself for doing what you have done for Harper! She knows she has the best Mommy god gave her and knows that you would do anything for her! You gave her a wonderful gift, for 9 months! I only got to give it to Gavin for 1 month, and I still considered it a gift! Whatever the issue or problem, your children always know you do your best and you do what you have to do, no matter what! Glad Laurie's medical problem isn't as bad as they thought. Pray she gets better with the new meds and that it's a quick fix! Good for you nursing for 9.5 months! i'm so glad that was an easy transition for you. it seems like God was just ready and waiting to work that out perfectly for you at just the right time. i'm praying for your dear friend laurie. i think this just goes to show us all how God knows all our fears and anxieties, no matter how large or small, and that when we seek him and pray through them, they become things that are manageable or blessings in our lives. Kelly...this is the first time for me to comment on your site...I usually just stop by enjoy my time here and leave...sorry:(. I was so moved by your sweet post I just wanted to thank you for reminding all of us what is truly important. I love reading about your sweet realtionship with Harper...I often get my daughter to come read your posts...she is 20 now and the love of my life...we love all of the pics of Harper...she is such a doll!!! Thanks for sharing pieces of your life with me and everyone else that views your blog...it is a delight to visit here everyday!!! I have felt the same way when all of my babies weaned Kelly. It's a little sad... I miss those long, endless nights...Anderson Cooper...LOL.. Chloe weaned MUCH sooner than the boys did and I cried...I am so glad you stuck with the nursing..it's a beautiful feeling! Thank you for reminding me to treasure the moments! Then eve before Chloe's 1st birthday... there's alot to treasure! I am praying for you friend! i went through the same thing with my daughter. i went back to work when she was 9 weeks old and had to start almost strictly pumping and almost completely quit nursing. i would only nurse her every now and then when she got really tired and was fighting going to sleep. the last time i nursed her, i didnt realize that it would be the last time either. i still look back and think that about that and how i wish i would have done it one more time so that i could cherish and remember every moment of that last time! even though i only nursed for a few months i pumper for a full year. i dreaded every time that i had to do it, and considered it a chore (even having to take it to work with me and pump during my lunch break!! ), but it was still very hard for me to quit. i kept pushing back the day, saying today will be my last day, and then i would do it and then say "tomorrow will be my last day"! finally after about a week or two, i just had to finally give in and call it quits. even though i didn't like it or enjoy it, it was just so hard to let go of that era and give up something that had connected my baby and i for a full year. for some reason i felt like she didn't need me anymore, and i KNEW that wasnt the case, it was just emotionally hard to let go! so i know exactly what you are going through. but i can almost guarantee you that you will enjoy your new found freedom!!! i did after it was all said and done!!! and congratulations on making it this far. that is something that a lot of people cant say! Way to go on nursing Harper for so long! I had a very similar nursing experience with my first child, Emily. I had a really rough start with BF too but had help from wonderful LC's. I nursed Emily for 8 months. She was so ready to weanfor so long and I finally gave in and weaned her. I was so sad to let the breastfdg go too but the few months of bottle feeding was rewarding and sweet in it's own way (just like you said). Maybe Harper "knew" this is exactly what her mama needed. For me, I knew I didn't feel nearly as guilty weaning when she was the one directing the weaning process. I don't really remember the very last time she nursed and I think I am glad that I don't. I just remember it all as a trasured experience and something that cannot ever be taken away from me. Now I have a 2 month old (wow, already!) who I am also nursing. He has been such a different experience in so many ways. I am planning to nurse him for a year or whenever he decides he is done (which is what I said with my first). I have learned this time to treasure each feeding as our little bonding time together. I am so much less stressed about BF this time and it has been so much better! Don't get me wrong, I loved nursing my daughter, but I was so stressed that I probably didn't enjoy it enough in the beginning. Thanks for your post. It's good to know there are many other mamas out there just like me! Sending prayers for Laurie and a quick recovery. One thing I learned in my years of being a Mom is no matter what you do someone will have something to say abt it - you have to do what is comfortable for you. We are all way to hard on each as women if we spent all the time we criticize someone else on supporting that person we all would be better off! When I read your posts it takes me back to my early mom years - I use to think if I had known that my daughter would've been my only biological child I would nursed her more than 9 mo, I now realize I made the best decision for me at that time and to stop beating myself up abt it. What a sweet post! And it's so true, there have been a few things that I didn't realize at the time would be a "last", and I wish I had treasured it more! I'm looking forward to updates about Laurie being completly healthy! Those end of an eras are an emotional time. I too nursed my first son for 9.5 months and his nursing time came to a sudden end like Harper's did. I was pregnant with our second child and my milk supply had gone drastically down. He was ready to be done too. With our second son I nursed him until he was 13 months old and it worked for him. He wasn't ready to stop until then. Each child is different and each situation is different. You did a great job giving Harper Mama's milk for 9.5 months and you should be very happy about that. Thanks for the reminder about treasuring every moment. What a beautiful post and a beautiful reminder. God bless. Kelly... I have sympathy for you tonight as I also weaned Avery just a week ago! Crazy how life can bring along friends that go through the same things you do, at the same exact times. God knows our seasons of life and always brings someone going through the same thing, at the same time. I took was VERY emotional after breastfeeding last week, for the last time. My milk is still drying up and it's so emotional for me when she cries because they still ache. I want so badly to still nurse but now that she is teething, it's time!!! But, on the positive- she loves the bottle and what's important to remember is that she got the main nutrients from you... for almost a YEAR!- WOW... GREAT JOB!!!! I am so proud of you and want you to know I am here for you anyday, anytime. I live right down the street!! ;) And of course we have our girl lunches too! BIG HUGS and kisses to you girls.. and know you aren't alone, I am (with millions of other mommies) in the same exact boat! Even though I only made it to 6 weeks, I know exactly how you feel. I was determined to nurse and I did, and I was successful. However, I could tell that something wasn't right. Come to find out, my milk didn't have enough fat in it. I started alternating bottles w/ nursing and noticed a huge difference after a bottle of formula. So, when I completely changed over to formula, I had a different baby on my hands! it was the change we both needed and she did great...but like you said, it was bittersweet for me! Everything you write about is so relatable to me! Thanks for sharing! I love your blog and read it daily, however, I have never commented. I just wanted to tell you that was such a sweet post to share! I am a mom to three young girls (6 and under) and I loved cuddeling and rocking my babies (still do, lol) while holding their bottles and holding their hands. I think you will find that it will still be a very sweet time for you! I often think about the lasts too...I always wish I knew when the last time of something would be. I saw that a couple of your other readers commented about the book "Let Me Hold You Longer," I love that book, have your tissues ready though! PS I am praying for your sweet friend! I haven't ever experienced the baby/nursing thing, so I can't relate to that, but I DO totally relate to your desire to always remember that each moment that we have is precious and to never take life for granted. I try to do that, but am not always successful. Thanks so much for the reminder tonight. Praying for your friend. Praying for Laurie tonight! Best friends are the absolute best. It was probably best that you didn't know when you were bf for the last time. It probably wouldn't have been the last if you had known. God sure does work wonders in so many ways. You must be meant to go on this compassion trip. God is seeing to it. Hi Kelly, I enjoy all of your posts, but I think this is one of my favorites. My daugther was in the NICU for five days and never really learned to nurse. I was determined she get my breast milk though and I pumped for nine months and gave it to her in a bottle. I remember when I felt it was time to give it up and as much of a pain it was to pump and feed her, it was a connection we'd no longer have and it made me a little sad. Madeline is now five and we have an awesome mother/daughter relationship...one I know you and Harper will have too. You are so right; you get to enjoy new things now with this new phase. And, we do need to treasure each moment. I try to live my life that way. Thanks for reminding me and others! 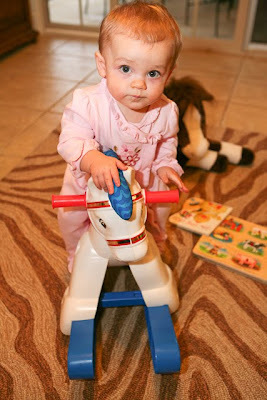 When my daughter weaned at 6 months, I cried! It was such a special bonding moment for us and I was so sad to see it end. Now with baby #2, I know to treasure all those moments because they can end so abruptly and before you're ready. I'm just curious Kelly, what kind of bottle did you use? I strictly nurse my daughter, but have tried to give her a bottle recently and she wouldn't take it. She is 7.5 months so I want to keep nursing for a little while longer, but would like her to also be able to take a bottle. Maybe a different kind of bottle would help. I love this post...so easy to go through life and not treasure each moment. Thank you for the sweet reminder! Kelly, I've been following your blog for awhile now. I, too, experienced the same thing...not knowing it was going to be my last time nursing my little guy. I fell ill with pneumonia when he was 4 1/2 mo. old and my supply went from full time feeds to nothing in a matter of days...I could never regain my supply when I did get better and to make matters worse, I had to go back to work with little opportunity to pump. I was sad knowing this is the last baby I will nurse. Everything has worked out ok though. Good luck. I enjoy reading about Harper. awww, that made me cry. life goes by so fast and it's such a good reminder to take in everything.... drink it in. thanks for the reminder. Kelly, thank you for posting this. It was very touching...praying for your sweet friend. That picture of Harper standing next to the door is priceless. I think it is just wonderful and amazing that you nursed Harper as long as you did. As an early childhood professional I see lots of people who stop nursing or don't even try it because they think it will be too hard. I obviously have not had the joy of breastfeeding, but before I lost our baby I knew it was something to do, and I knew I was going to stick with it. I think it's great the relationship and bond that you have with Harper. Yes giving her a bottle at night will be a little different, but you still get to look into her sweet eyes while you are feeding her, and well, that has still got to be amazing. I think you did a great job, thank you for sharing this with us. Kelly -- praying for your friend Laurie tonight. Also, so so glad Harper transitioned so easily to the bottle -- what a sign that you are truly meant to go on this trip! It is amazing you were able to nurse her, with her long stay in the hospital; God is so good. Even when you're planning to wean, you may never know it's going to be the last time. I was able to nurse my first until 13 1/2 months... all the sudden she just stopped on her own. I was half asleep the last time she nursed! Thank you for sharing; I love reading about your sweet family. That is such a true post. As a mom of a 16 year old daughter and then a 2 y/o son and a 5 month old daughter I can tell you that time flies by. I didn't treasure anything with my first because I was so young and just wanted to rush it because it was such an inconvenience in my life. I so regret not treasuring every moment I had with her because she is now driving, has a job and is just such a wonderful young lady. I learned with her that I needed to treasure every moment with my 2 little ones, and I have. I have been so blessed to have nursed each one of my children for 1 year each. With Nora being my last child, I am taking it all in and very sad for the day when it will be over. It will only be over to enter into a new stage, one I will love equally. Thank you for sharing. My little guy was sort of forced to wean when I broke my leg last Christmas Eve (mopping the floor of all things). He was 3 months old and while I was in the hospital having surgery and on meds he couldn't have any of the breastmilk and for my own reasons I didn't feel it was worth it to 'pump and dump' on a schedule. So I don't remember the last time he was breastfed either, and wasn't able to treasure it. Oh, the end of nursing was SO hard for me. I nursed Saylor until just over 12 months. It was SO hard to have to not be able to soothe her those first few nights. She would reach toward our room, crying. BUT it passed quickly, and I'll look back at our nursing days with fond memories forever. So sorry to hear about your friend Laurie! Praying for her tonight!!!!!! Praying too, for her family! Praying for complete healing that only our Father and our Mighty Physician can provide. What a sweet, precious post...my tears are flowing. Be proud of the time you nursed!! It is a very special bond..but I promise it's just one of the many, many more you will share with Harper. Saying lots of prayer for Laurie. Good for you for nursing that long! It's a great accomplishment! Also- it's so true to treasure each moment! We never know when it will be the last time, and I know that I take so much for granted. Hi Kelly! I don't know why people are always so judgemental! Anytime you breastfeed whether it's a week or 9 months like you is a great thing! And it all depends on the particular baby! I breastfed with my first for 4 months without ever giving him a bottle of breastmilk or formula....he was attached to me always! lol But my second was born early and didn't have that natural sucking reflex like nearly all babies do. He wouldn't take to breastfeeding. You would think since I was experienced at breastfeeding it would have worked out, but it didn't. I had to constantly pump and give it to him in a bottle. It just goes to show you that every baby is different. And no matter how long you breastfeed it's always beneficial and better than not doing it! Great job! I couldn't agree with you more, Kelly. I have definitely learned this over the past couple of months of my life and would be willing to preach it to anyone who would listen! I cannot imagine the difficulty you much have with each post that could become controversial. God placed Harper into the arms of Scott and yourself to be taken care of. You do what you think is best and this pleases God. Your great parents, be confident that your beautiful daughter is healthy, and happy, and loved. This is such a sweet post. I hope no one says anything negative to you about your decision! I BFd Asher for 8 months, and I think that you went for a long enough time :). You and Harper will have moments just as sweet for the rest of her life (God willing). I'm so impressed that you were able to wean so quickly! I am so sad that we only have a few more weeks of breastfeeding left. I can't imagine my life without it! People keep telling me that we can continue, but 12 months just seems "right" for our family. It still makes me sad though. Glad to hear your success story!! No judgement here! You should be so proud you nursed her for 9.5 months. You are a fanatastic mommy! Your post actually made me all teary and I'm still crying a bit. My son is 9 months and when I wean him, I feel like my heart will break a little. It is getting very difficult to nurse him sometimes though because he gets SO distracted by anything and my milk supply is not what it used to be. Anyway---thank you for sharing what you are going through. You are so right on that we need to treasure every little moment. Gosh...you have made me all emotional too. Praying for you! I get emotional every time I have to wean. It just means they are growing up and not your little newborn anymore. :( But, think of all the fun you can have with a toddler. Harper is an adorable toddler who will bring you more joy as the years go on. We, my 2.5 year old daughter and I, love to see Harper everyday! She is just tooooo cute! You should be proud, Kelly! It's a wonderful accomplishment. I love your ending quote as well, it's so true. Almost 10 months of nursing is AWESOME - be proud of yourself. I only made it 12 weeks with our first child and although I was sad to quit I knew it was best for him. Thanks for sharing your stories with us and being so open and honest. You and Scott are awesome parents. That is such a beautiful post, Kelly. I can just feel the love you have for Harper coming off the page! You are so right.....we just don't know when it will be our last moment. I didn't know when I talked to my Mom on the phone for the last time that I would never get to tell her I loved her again. We just never know. Thank you for reminding me to treasure every single moment. I have been very guilty lately of taking things for granted, and that is something that I don't want to do. You are such a sweet person Kelly, and I am so glad to have found you in this blog world. love your post...thanks for the reminder! my last time to nurse addelyn was in a tent camping..ha! :) now that's just a funny memory! :) I'm praying for Laurie! I hope no one gives you a hard time - I think it's amazing you BF for that whole time! I gave up after a month! I'm sorry you didn't get to have that "last time" but this just means you are starting a whole new phase in life and it's going to be great! I'm glad Harper didn't give you a hard time weaning! I have not posted in a LONG time, but have continued to read and follow you since the day Harper was born. I love this topic though, and want to share one of my favorite book's with you. My mother in law got it for me last year for Christmas, and it's beautiful. It's all about celebrating our chilrens lasts, not just their firsts. I know exactly what you mean about not knowing it was going to be the last time to breast-feed. It's heart-wrenching on the soul, and it makes me sad suddenly, just thinking about that. The book is called "Let Me Hold You Longer" and it's by Karen Kingsbury. It's a BEAUTIFUL book, and it's a staple in our house!! If you get a chance, def. pick one up. It really tugs on the a mommy's heartstrings. Like so many of your posts, I thought this one was so so special. It really put into perspective for me how precious life is. I know that you LONGED to be a mother, just like I am longing to be a mother. And to hear all the sweet words you say about Harper, your feelings about being a mother, and sharing your experiences with us, is such an inspiration. I always leave your blog feeling as if God is GOOD and He does answer prayers. Thank you so much for being His light...it means the world to me and to so many others. What a wonderful post, and the message at the end is perfect. you and amanda uplifted me so this week!! as a mother of three who bottle fed all of them by choice (i tried nursing for a week with our first and it was just too painful), i have to take a moment to thank you over and over for painting bottle feeding in a positive light. i usually bristle when the subject comes up because i assume people are going to talk smack about it. :0) i really appreciate it! Praying for Laurie.. I'm a new reader to your blog, and am loving it!! Your daughter is a beauty and I can tell from all your posts that she is the light of your life!! Kuddos on the breastfeeding.. it never worked for my two, so you got 9 more months than i did!!! speaking from experience, don't put your child to bed with a milk bottle. the milk will sit on her teeth and give her cavities!! I understand what you are going through! Hang in there, the first couple of weeks were tough for me. Why would anyone get upset by what you're wrote? Sooner or later everyone goes through it. Every mom needs to make that decision on her own! Know that I'm here praying! I'm with you here. I too didn't realise that the lst time I nursed my baby girl would be her last. I wish it had been in the comfort of the big chair in my bedroom rather than at KFC!!! My little girl is on formula now and she loves it. But when I see my best friend nburse her newborn baby, I still feel a twinge of nostalgia and regret. Babies always grow up faster than we want them to. I had wanted to breastfeed till she turned a year old but could only do it till she was 5 months. I am learning now to hand my regret over to God and let his plan for my life unfold. Brave post. That is a hard subject to put out there with so many different opinions on the subject. I applaud you for nursing your babe as long as you did. Your take on it was inspiring to me, and I just sit back and smile in remembrance of the moments I had with my baby before she weened. I never nursed the boys, I was not into it at all... but was also young. I am so glad my labor & delivery co-workers peer pressured me in to nursing my first and only girl. Thank you for such a sweet post. Your bestie is in my thoughts and prayers. Hi, I am a lurker. :-) I have been reading from the beginning, but have just been to busy and/or just never felt the need to comment. I read your post about Laurie probably 5 minutes after you posted and I was pounding the doors of heaven asking God to heal her. I was amazed, really amazed, at the, well, love, that I felt for my sister in Christ that has no idea that I exist, but that I feel I know from your blog. I was praising Him when I saw the update! I am commenting today, because as a breastfeeding of 4, who lives in right in the heart of Vol country, I want you to know that what you did, nursing for 9.5 months, was a momentous feat. I don't say that lightly. Not only did you set aside your feeling about the matter for yourself and instead focus on what was best for Harper, you went against the popular Southern tradition. I remember nursing my first and the references to cows and the looks of "That's gross!". It was hard. So, way to go!! I pray for you and Harper when I read your blog. Oh, and Scott. Being a parents is the hardest, scariest job there is. Waiting and praying for the day when they realize their sinfulness and trust Christ...that can be pure torture! And now, watching the older two as they struggle with growing in the Lord, it is a joy, but also a new kind of pain as I watch them struggle with the same sins that I deal with. That blog was absolutely beautiful! I've been praying for Laurie all night and hoping the new antibiotics works. You couldn't have said it better! Life is full of surprises and it has no promises. Just the other day I was talking with Howie about how I won't ever know if I'm enjoying my last day with just Dillan (who knows if another baby will come into our lives?). This makes me a little sad that I can't prepare and "treasure" those last moments. Then I realized I should just be treasuring each day like it's our last one as just us. Thank you, Kelly. This ministered to me this morning. I never breastfed but cherish those nightime bottle memories. My son is 2 now and I wish every night I was holding him and rocking him and loving on him...it was our special time. I guess what I am trying to say is that whether you are breastfeeding or bottle feeding, the connection will always be there. Congrats on making it this far! Harper is just beautiful! You've given Harper a wonderful start in life! You should be proud of what you have accomplished with her. Now, you can enjoy this new phase of her growth. If you haven't already, please read the little book "Let Me Hold You Longer" by Karen Kingsbury. It is such a sweet reminder to savor all the "lasts". That's a mother's heart for sure!! Read *Let Me Hold You A little Longer* by K. Kingsbury! I, too, came here to suggest you get "Let Me Hold You Longer." I bought it for my oldest's first birthday and it is such a precious book. This was a wonderful post. A friend of mine sadly passed away over the weekend following an accident. A mom of two young boys. I've been thinking all weekend about how we get up every morning and we just don't know what the day will bring. It has been a cruel reminder to treasure every day, every moment...to love more. Enjoy this new stage with your daughter...there is something wonderful about every stage with our children...mine are college students now and its fun having nearly grown up kids too. Harper is so lucky to have such a sweet mother. I don't have any children yet, but do look forward to those tender moments I will share with my future little ones. Thank you for sharing and being honest about your feelings. Much love to you and your family! So true. What a sweet post. What a blessing that post was! I have been nursing my daughter for 13.5 months, and we are down to breastfeeding just once a day, before bedtime. I know our "last" time is coming, and reading your post helped me remember than when that time comes, I need to treasure it. Thanks for opening my eyes! Kelly - My daughter Rylee is also 9.5 months. I wanted to breastfeed, but couldn't do it naturally. Rylee would not latch on correctly because of tongue tie or other issues. I have been exclusively pumping for 9.5 months. Ouch. But.. I keep thinking that I need to wean her and stop pumping. Every time I try, I become emotional and keep going. Guess when it isn't emotional any more, I will quit. I have a conference away from home for 3 days and I don't know how I am going to do it, but hopefully it will all work out. It has in the past. I also just got over a bout of sickness and thought my supply was done, but this morning it looks like it has bounced back a little bit. Yeah! Congrats on making it as far as you did. It is an achievement and you have done wonders for Harper. Have a fun trip! You did a great job with nursing Harper! Yeah for bottles and a pump free trip!! Oh I'm crying! I had a similar experience with our daughter, Kenlee, and it was precious. God gives us those wow moments to realize the gift He's given. Thank you, God, for our babies & our life experiences. It is bittersweet, but obviously the right time for you AND Harper. Sounds like she is just ready. I wish I could remember the last time I nursed my three daughters. They all three never wanted anything to do me once they had a bottle. They weaned themselves (quickly) and I guess it was better that way. I am a sentimental person and I probably would have made too much of a big deal about it. Beautiful thoughts and words, Kelly. I wish more people would think like you. I bottle fed my daughter (nursing didn't work for her) and nursed my son, and it was great for us both ways. I was so disappointed that my daughter didn't take to nursing, but we still had wonderful bonding - and her daddy got to have the bonding experience of feeding her a lot - very special for him. Kids do grow up - mine are 22 and 17 now, but all the sweet memories remain. Love reading your blog! I grew up in Little Rock, and still miss Arkansas and root for the HOGS!!! My daughter decided yesterday that she was done with her pacifier. She told me she was sending them to her cousins who are babies and refused to take one again. It was definitely time for her to stop using it, but it also made me sad because it's another part of her being a baby that is gone. Oh I have tears in my eyes from your post! First off praying for Laurie! Secondly, I had the same feeling when I weaned Kelcee! Your such a great mommy! Thirdly good luck on your mission trip! Finally I loved the end of your post and how you wrote treasure every moment as it is your last! I just started potty training my little girl and I secretly tear up when she isn't looking knowing this is yet another big milestone! She is now a BIG GIRL! Glad your weaning went well. Harper is growing up too fast. What a beautiful post about "last". As a cancer survivor and having lost some precious people very tragically who were very dear to me, I certainly CHERISH every day. I live each day to the fullest and am so grateful for my family and friends!!!! God is ALWAYS there with me and I love Him more and more each day. I have had so many tragedies in my life, but God has blessed me along the way as well. Love & blessings from NC! I've never posted a comment, but I can SO relate to this post! I'm not sure if someone has already recommended this book or not, but I wanted to share it. It's a picture book called "Let Me Hold You Longer" by Karen Kingsbury. It's all about those little things that our kids do that we may or may not find annoying and that at some point there will be a last time for each of them. It's a cute little book and each time I see it it reminds me to treasure my kids because grow so quickly. We will be praying for your friend! Nursing for as long as you did is a wonderful thing! I nursed my oldest for a little over 6 months and everytime I watch Archie Bunker now I get all emotional! haha! Those 3 AM feedings and re-runs will do that to you. i love this post today!! i can so relate, recently i weaned my baby girl who just turned one. i weaned her a little after 11 months. like you it was a natural process, she started nursing less and liking bottles more. and i have thoroughly enjoyed giving her a bottle. it is such a different kind of sweet, but i love it and i love that other people can snuggle her when she is feeding too! you have inspired me to share our nursing story on my blog too! i love the words you wrote, they spoke to my heart! thanks for sharing from yours! so glad that your bff is going to be better soon!!! i will be lifting her up in prayers!!! Oh Kelley. I teared up reading this! Olivia and Harper are the same age, and we're down to breastfeeding just twice a day. Pumping at work just got to be too much, so she gets formula during the day. She LOVES her bottles, which makes me a bit sad! I, like you, thought breastfeeding was quite oogey until about halfway thru my pregnancy when I decided to take a breastfeeding class and give it a shot. Olivia took to it like a pro and it was SO EASY! I've thought about whether I would know when the last time I feed her will be, and it's sad watching them grow up, but aren't they getting to be SO MUCH FUN?! Your words are truly inspirational. Thank you! I breastfed both of my babies..one until he was almost two....GASP!!! He loved it so much and it was such tender moments that I could not stop...when I did finally stop--I got pregnant right away with my daughter..I breastfed her for 6 months which was also very sweet and precious but unfortunately I had to go back to work...I pumped some but it was such a hassle...she took to the bottle very well...and now they are 28 and 25...all grown up and my daughther is soon to be a mommy who will breastfeed too....I know she will enjoy those special moments too...can't wait!!!! Bless you Kelly..you are an angel. I usually don't comment, but this time I had to. Every time you feed your baby from your body it is a blessing to the mother and the baby. You did the best thing for both of you. It is not easy! Whenever a mom or baby weans it is emotional, but knowing you did what was best for her for 9 months is fantastic. Don't let ANYONE tell you any different! Even if you nursed her for exactly one day, it would have been the right thing for you. Never forget that asd her mama you decide what is best. Congratulations on getting a little bit of your freedom back! Kelly, you did awesome for breastfeeding Harper for 9 1/2 mos! I think back on the days when I nursed Amelia and miss that sweet phase, but the "phases" never last. They aren't meant to, and, as sweet and precious as they are, we wouldn't want them to last forever either. There are always new phases for them to enter once each phase ends. It's bittersweet, though, isn't it?? :o) I hope Laurie is doing better. I'm a-prayin'!! Thank you for your post today. It is exactly what I needed to hear. It is so hard sometimes moving forward. I have had such emotions over my youngests milestones. Harper is adorable. I am glad the weaning went so easy for you... my boys were very difficult to get on the bottle. Oh Kelly, you are so right - you never know when it might be the last. I lost my Mother last year and miss all those times with her but have no regrets as she was my best friend & know it's only a temporary separation! God gave me a new blessing on the 1 year anniversary of her death!! I nursed her until it was time to come back to work and like you, treasure the new time with her, kissing her hands & head just the same. I have Presley's picture in a frame with that same quote & look at it often because she is such a treasure! Thank you for your blog as it is truly encouraging! That was beautiful, Kelly. God bless! Very well said -- it is always tough to close the door on sweet moments like you have had over the last 9+ mo. But I have found - something else very special fills the space! Shoot, Kelly, I'm feeling sad and guilty just because I sold my minivan so Saturday night was the last night I drove around my 14 year old and her 4 girlfriends. Us mamas are just this way. You are right- it starts with weaning and goes on and on. I admire you! I wanted to Breastfeed also but I had a breast reduction a few years back and they cut my ducks. I TRIED very hard for 3 weeks and I wasnt getting any milk. My daughters ped told me to stop and it was a wonderful moment. I had PPD and trying to breastfeed on top of that made me a bad mom! The second I was told it was okay to stop I was such a better mom, and started enjoying it. Breastfeeding is VERY hard and I think its AWESOME that you did it that long! Something someone told me to make me feel better was, formula companies spend millions of dollars every year to make formula as close to breast milk as possible! Your daughter is BEAUTIFUL! Don't let anyone make you feel bad for stopping! You should be proud of how long you've nursed, especially with her NICU stuff, etc. We weaned earlier than I'd wanted because of reflux issues, etc. (not that bottles make it better, but it's hard (and really sad) to force your baby to nurse while they scream and push away...and can I mention you're only partially dressed for the whole event). Anyway, there are very sweet parts of bottle feeding too. The sweetness comes from the fact that you are her mommy who she loves, trusts implicitly, and looks to to have her every need met. It'll change in form and substance, but in some ways it will always be that way. I still look to my mom, a lot! Not because she's perfect of because she did everything right, but because she loves Jesus and me and was always quick to admit when she hadn't done it right. Praying for Laurie again this am. Oh Kelly, I know just how you feel! I didn't really get to nurse my daughter, so when my son was born last year, I was so excited to try again. And it went so well and I just loved it! My goal was always to make it to at least his first birthday. Around 9 or 10 months I noticed he was nursing for hardly any amount of time, could hardly stay still to do it, and my milk supply was greatly dwindling. Long story short, due to some health issues I have, my milk was drying up. Right around 11 mos he was fully weaned to bottles. What upset me most is that he didn't seem to care or miss me! I still get sad about that sometimes, but I know it's because he was on the go and wanting to be independent. He liked the new freedom, and he finally starting sleeping through the night b/c he was getting enough to eat!!!! :) Anyways, I feel you on this one. Letting go is so hard, and who knew it would start so early?!?! Glad Laurie isn't in such dire circumstances today. Praying for her complete recovery! Absolutely be proud that you nursed her this long! Don't let anyone tell you anything different. I nursed mine 7, 10.5 and 12 months. Although, the last one nursed for comfort and got a bottle. I had a rough time after birth, and never really got milk. I had been in kidney failure and nearly died. you are so right you have to be thankful for each day. I hope Laurie is doing better! Beautiful post, Kelly. I just found out, literally minutes before reading this, that a friend of mine lost her battle against cancer just a short time ago. Yes, we need to treasure every moment we have. Life is short and life can be hard, but God is so good. Bless your heart, Kelly, it's been a rough couple of days for you. I'm still praying for Laurie. And you're right...treasure those moments. I just posted (Sunday - today)about the last time I saw my precious Daddy on this side of heaven. I'm treasuring that day, even now! So excited for y'all and your Compassion trip. Looks like you'll have difficult days ahead, but to the glory of God! Praying for that, too. I left Parker for 4 days and it just about killed me! I pray that your days at compassion are so filled with 'stuff' that you won't have time to miss sweet Harper. Beautiful post. Beautiful reminder. Thanks for sharing your heart. Thank you so much for your honesty. I had a really tough night. My son woke up more than usual and he has been pretty fussing the past few days with a cold. I have been stressed....even as I was reading your blog....but when I read your words...it was like God speaking to me. He uses you so much to touch us all. Keep being who you are...saying the things you feel....God is using you in a powerful way! Yes(! )...I'm not the only "Over Thinker" on the planet! I too dwell on these things you've mentioned all.the.time. (Last year, I took a picture of the final bit of formula in the can for Meredith's last bottle and blogged about it.) You're right, Kelly...so many new memories to treasure though; and you're clearly on the lookout for them. Happy 'treasuring'! (Praying for Laurie's situation, and very pleased to read she's on the mend w/this infection. So scary. Hugs...). What a sweet post. I love reading your blog. I'll be praying for you on your trip and also for Laurie. choosing to breastfeed or not is definitely a personal choice, as is weaning, both mommy and baby have to be ready. I weaned Lauren at about 10 months and I honestly had to go through a grieving process, it wasn't until she was completely weaned from the bottle that I was ok with stopping. Stupid, I know. :) I wasn't ready to wean her, but she got teeth and wouldn't stop biting so I had to. I weaned my daughter at the same age as Harper but I weaned her straight to a sippy cup. She never took bottles. It was a happy/sad time for me as well. It's sometimes hard to do the right thing even when we know it's the right thing. God knew Harper needed to be weaned before your trip and he took care of it. That's so awesome! I also weaned my son around the same time. 9.5 months is a huge accomplishment!! Good for you for making it so far!! Thanks for reminding us to treasure every moment!! What a sweet post! It's a great reminder to cherish all the special moments because they pass so fast. 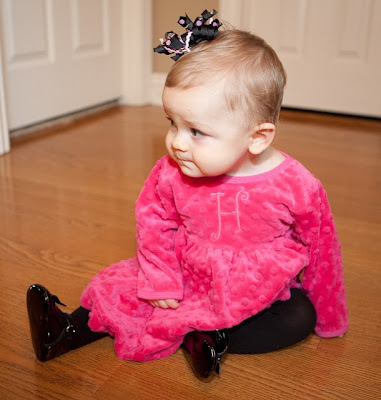 ps--you have to tell us where you got that cute pink dress! I LOVE the material! Awe, tears! Gosh, I admire you so much for persevering through the whole NICU stay...I'm not sure I would have made it through that! Don't be so hard on yourself...you have taken precious care of your sweet Harper and are an amazing Mama! And you are right to treasure every one of those moments! Hugs! Just popping in to say I LOVE YOU and I think you are such a wonderful mommy to your beautiful baby girl. :) I truly mean that. Every step of this journey has been a wonderful walk with you. Thank you for sharing your faith, struggles, praises, and family with us. I have been praying for Laurie and will pray for your upcoming trip. Can you give us a list of how you would like us to specifically pray for you. My Esther small group would like to lift you and Scott during that time. Please post some specifics for us (or I can email you too). Congratulations Kelly! I also nursed my daughter until she was 9 months. I worked outside of the home and pumped several times a day at work. At first everyone was really supportive but then pumping began to get in the way of my work...not my words. I thought work was getting in the way of my pumping. Anyway, it was getting harder and harder. At first I gave her formula for the daycare and we nursed at night. When she was 13 months old she pushed me away and didn't want to nurse anymore. Those are the sweetest moments for me. We still sit in "our chair" and cuddle at night and she is 9. I've been thinking every time since she was 3 that this would be the last time. There was not a thing wrong with this post! I am very proud of you for nursing 9.5 months!! I'm proud of any mom that tries. I did it for a year and I can't believe it. It's only been a little of a month since I've stopped and I miss it. I'll tell the truth, it was one of the hardest things to do with a full time job, but I did it. It is the best feeling in the world to have that bond with your child. I wouldn't have traded it for anything. You are an amazing mom!!! You are so right. I nursed both my boys to 21/22 months and I'm now nursing my youngest (5 months). Even as long as I nursed the boys, weaning was still bittersweet. As sad as I was, though...I remember how lovely it was to be able to cuddle them and just hold them in my lap, no nursing involved! It was a change, but a wonderful one. I got to experience them in ways I hadn't before. God's grace is a wonderful thing. Enjoy this new and wonderful stage in your life with your sweet Harper! What a great post! I wanted to give up in the first few weeks of breastfeeding my son due to the pain, but I persevered and am so glad! I love our special bonding time. I know exactly how you feel. Karen Kingsbury has a book called "Let me hold you longer". It is about cherishing all the "lasts". Your post reminded me of when my middle child gave up his binky. I was so glad that he wasn't using it but didn't realize how much I would miss his "babyness" when he gave it up. I wished I would have taken just one more picture to remember it by....it is so cliche, but they grow up way too fast! VERY sweet. You made me tear up at the end. So true. I only got to nurse 3out or 4 birth kids, the one I nursed 2 weeks but was okay. Nothing different. Then we got our son we adopted, at almost 4 months, could not nurse him, and nothing different I felt for him or him toward me. Still got to hold him as I gave the bottle, and bonded instantly. Cherish the day you have, whether nursing, or bottle feeding. Or simply holding or playing. I know just how you feel. I breastfed my daughter for 2 months. She was very sick and I finally realized that she was having an adverse reaction to medication that I have to take. The doctors were sure the small dosage wouldn't effect her through breastmilk. But it did. And I didn't get to savor the "last time"...it was too late. And the last time was sitting in an Applebee's parking lot! Of course had I known the outcome I would have treasured that time. You did a great job for 9.5 months! I so agree with you. Everything we go through is a gift to be treasured. I was even sad to see my last child starting to potty train. Saying goodbye to diapers is even hard. I had a similar experience too. I was wanting to wean, but just couldn't give up that "time" with my baby. Then one day, it just happened. Before it did, I remember being sad at just the anticipation of it ending....but once we were done, the sadness went away and I found new ways of bonding and spending time with him. My son is 15 months old and is not taking a bottle now anymore either, but we still rock at night for a little bit and I treasure that time. There will come a day when he won't want to rock anymore...that chapter will close as well...but I am certain we will be blessed with other ways of bonding! They grow up fast, don't they?! This post reminds me of a children's book by Karen Kingsbury called, "Let me hold you longer". It is the SWEETEST book about "lasts" in your child's life. So sweet! Beautiful post, Kelly. It too reminded me of the K.K. book that the last commenter wrote about--"Let me hold you longer"--I have that sitting by my chair in our family room so that I can pick it up and read it to remind myself to treasure each moment even when they are hard or I'm tired. Nursing my boys is my favorite memory from when they were babies--now we are in the next phase and I am trying to remember to slow down and treasure my time with them now. Thanks for the reminder! Kudos to you Kelly for nursing that long...it is HARD work girl...you should be proud of yourself most definitely! I nursed my first boy for 7 months but only made it 6 weeks with my second. I have learned that every baby is indeed different...but why is that so hard for some of us to understand??? God is the CREATOR!!! And He doesn't create duplicates!!!! I will definitely be praying for your friend!! Hope you all hear good news soon. Kelly, you are precious. I treasure you! !